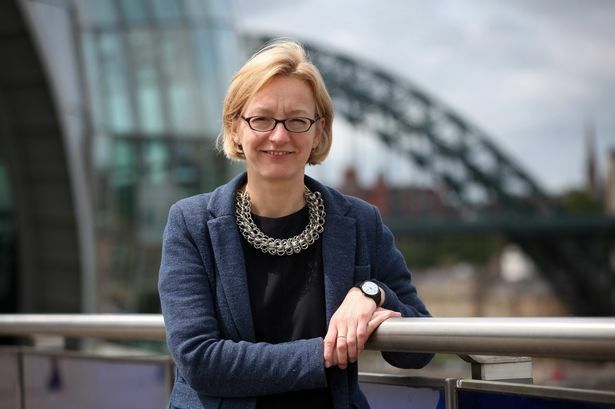 No sooner is Abigail Pogson installed as Anthony Sargent’s succesor as boss of Sage Gateshead than she is engaged in a race against time – with a great financial incentive to win. The music centre was chosen as one of the beneficiaries of a scheme set up to encourage philanthropy in the arts, thereby relieving their future dependence on the public purse. It meant that for every single pound the Sage could raise by the end of this month, up to a limit of £4m, it would receive an additional 50p from Arts Council England. At the time of this interview, with days left, the organisation was still £350,000 short of the limit meaning £175,000 was still there to be had. “It would go straight back to the Treasury, never to be seen again,” said Abigail. That said, the Sage’s new managing director (Anthony styled himself general director but the roles are the same) acknowledges that the North East has already demonstrated notable generosity. 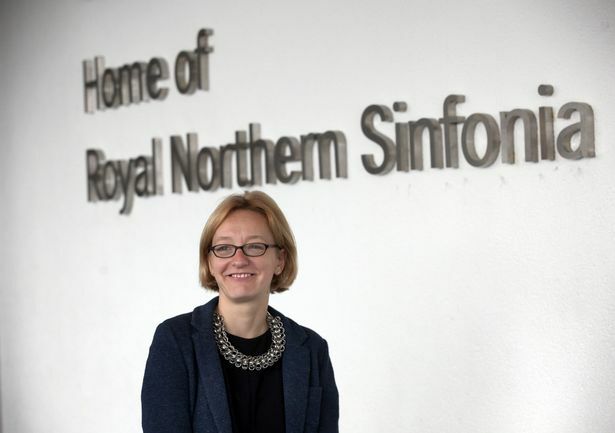 “The thing that’s really brilliant is that the majority of the donations have come from within the region. There have been a number of projects like this around the country but this is by far and away the one that has raised the most money. Many might be surprised to learn that only 20% of Sage Gateshead’s funding comes from public sources, the Government and local authority. That the building once referred to as the regional music centre has important friends in the North East is reflected in its name. Software giant The Sage Group plc bought the naming rights with a £6m donation before the building opened in December 2004 and recently contributed a further £1.1m. That bought the company the naming rights to the two concert halls, Halls One and Two becoming Sage One and Sage Two, and boosts the endowment which will bring a revenue stream to fund Sage Gateshead’s activities in the future. Inside the region people have been highly supportive of the Sage. But people elsewhere have been keeping an eye on it too. Among them was Abigail who was previously chief executive of London music charity Spitalfields Music. “I’ve watched this organisation for its whole life really. Its mission, setting world class performance, local talent and learning and participation alongside each other, is really inspiring. Really, it’s the only organisation that has had these things together at the outset. “There are other organisations now that put performance and education on an equal footing but that wasn’t where they started. To start with that parity was a real statement. “To me, this is an organisation that over its first decade has had a real impact on the sector in the UK, before we even think about internationally. So I’d watched all that in huge admiration. 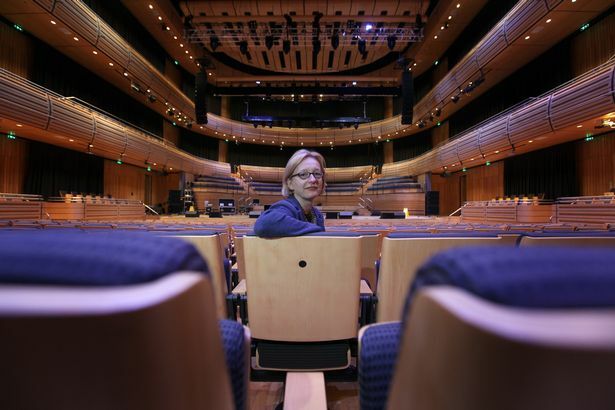 “The other thing I was interested in, and that I’d watched quite carefully, was the way the component parts – Royal Northern Sinfonia, Folkworks and the education programme – were pulled together in this fabulous space. I’m interested in those moments where you sort of take a leap of faith. She had watched a “virtuous circle” in operation on the south bank of the Tyne – artists being supported to make brilliant work, building audiences and introducing them to new things and thereby gaining support to do further brilliant things. Spitalfields Music isn’t attached to a particular building but it did begin in one – “a Hawksmoor church, Christ Church, which was right in the heart of Spitalfields. In 1976 that part of London was, for a lot of people, quite no-go. “The church and the buildings around it were really rather neglected. The rain came in and there was damp everywhere. It was Richard Hickox (coincidentally the late conductor was a friend of Royal Northern Sinfonia, conducting it many times) who suggested Spitalfields Festival, as it was in its first phase. “It was founded for two reasons. First, he said, the church had an extraordinary acoustic which should be celebrated. Second, there was a whole population of people who should have access to extraordinary music but who would never go to the South Bank Centre or Barbican. Abigail Pogson was born in Halifax but grew up near Bridlington. Her father worked for Lloyds Bank. Hers was “a family of listeners. My parents listened to music and went to concerts so we were audience members really. I played piano all the way through but I didn’t read music (at Cambridge University). I read languages. Appointed at the end of September, Abigail took up her new post on May 5. A couple of months later, she is still getting settled in, organising a house move and looking forward to welcoming her young son and daughter to the region. Her husband, still with an absorbing job in the London music world, might have some travelling to do. While she had been to concerts at the Sage, Abigail admitted she hadn’t known the North East very well. Already, though, she had developed “huge respect” for Gateshead Council’s contribution to cultural life in the region – “this and Baltic and the Angel and the (Millennium) Bridge. Objectives for the future – as well as raising £350,000 in a fortnight – include broadening the Sage’s audiences still further.